Master S.T. Hong is an authentic Martial Arts Master. He has taught and studied Martial Arts for over 30 years and is internationally recognized as a Grand Master in Tae Kwon Do. He began his Tae Kwon Do studies at the age of thirteen under Grand Master Sangha Kim in Korea. A gifted student, he certified as a Master Instructor at age twenty-three. He has received special commendations for teaching excellence, superior technique and development of students. Master Hong teaches techniques that make his class practical for all ages. His mission is to instill Self-Confidence, Integrity, Responsibility and an Indomitable Spirit in each one of his pupils. Master Hong has taught the Martial Arts to thousands of children and adults in the United States and Korea. Master Hong and his school are accredited by the World Tae Kwon Do Federation and PanAm Moo Duk Kwan Society. Master Hong is Chairman of the Wisconsin Professional Tae Kwon do Federation. 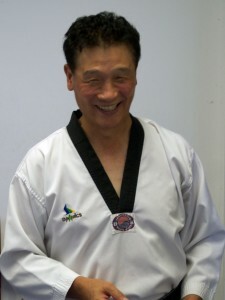 Master Sung Do Hong has taught Martial Arts to hundreds of students over his 20 years as an instructor of Tae Kwon Do. He has taught in Milwaukee for about 10 years, and has taught in Seattle, Washington prior to coming to Wisconsin. Master Sung Do Hong has his Bachelors degree in German from Korea. He is also a 6th Dan Black Belt. Master Sung Do Hong teaches at Hong’s Tae Kwon Do in Mequon.